These photos which were taken in the early 1950’s show students relaxing and being more formal for presentations. Does anyone recognise themselves? I attended the Saturday Art School in the 1950s. I was quite young at the time, probably one of the youngest and I suspect that I got a place because my parents were artists and friends of Tom and Marion Green. I remember a pencil portrait by Marion Green. I remember making a marionette using bamboo for the jointed limbs. Although I went on to become a teacher I have always returned to craft work and taught lapidary and silversmithing for a short while. I now make carriage driving whips and do leathercraft. Hi, I’d like to get in touch with Mr. Brian Day Parsons, or with anyone who can shed a light on his artistic carreer. Hi there, My name is Katherine Appleford and I am a Lecturer at Kingston University. I’ve recently been asked to work with the Sorrell Foundation, who currently run a number of Saturday Art and Design Clubs. 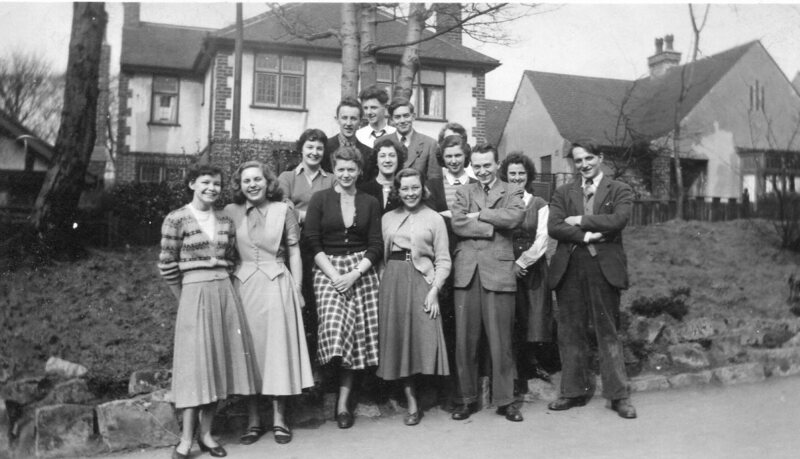 We are looking for individuals who had been part of Saturday Art and Design Clubs between 1940-1970 and I noticed on your website that a number of contributors talked about classes they had attended at the Mansfield School of Art. I would like to get in touch with them and find out whether they would be interested in discussing the impact the art and design clubs had on their lives and careers. If you are able to help, it would be really very helpful, and hugely appreciated. Jack Varley, did a post grad in London Brian Day Parsons, lived in France, taught at the french art schools, received much praise from France, awards in the south of France. Pete lives with his wife Sheila on an island in Queensland – post grad teach, postgrad, masters, fine arts and uni sasa assoc. member, researcher. We had met a TV crew, – scene at 6.30, julian petterfier? - they gave us rum and beer. They had come to film, the Christmas decorations, angels, ex-regent street , London… I was not expelled but given a place at Derby School of Art, Ken Rowatt had told me to take my abstract works to show the staff,…ok ,but didn’t like the place much. Parsons and Wolden scored top marks in the school,intermediate exam, many students failed, 23 ! Hi Peter, I can’t go back to the 50’s but close. I studied Fine Art Painting there from 1960-64 with Tommy Green as my tutor. His wife Marion taught life drawing. I remember two of my fellow students returning to the studio after spending perhaps longer than they should in a local pub and putting a quarter of jelly babies on Tommy’s desk to placate him. Both were expelled as I remember! Tommy and Marion moved down to live I believe in St. Ives in Cornwall after he retired. I saw him just before he moved from Mansfield. Whilst I worked at the Metal Box in Mansfield they used to send a group of us on a “day release” to both West Notts College on Chesterfield Road to study two or three subjects then we attended the Art College. We always looked forward to attending. 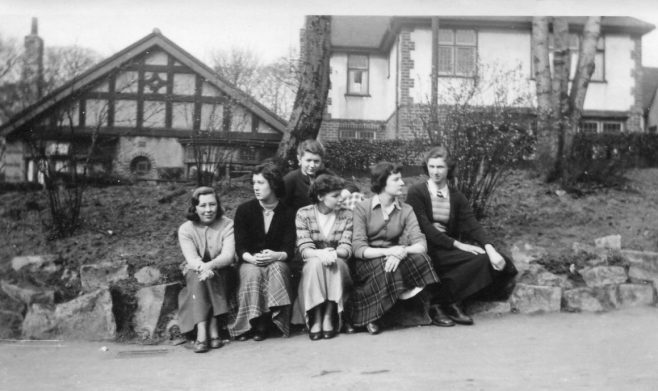 I was a student at the Mansfield school of art in the early fifties. In the last photo I recognise Roy Palfreyman, Colin Palmer, Janet Soar and myself. 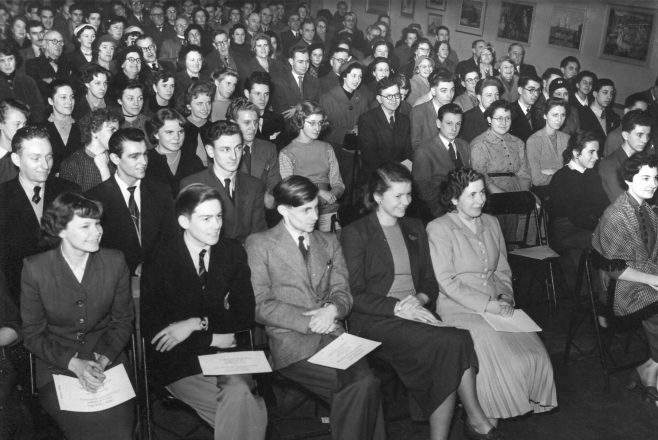 I attended the Art School on the Saturday morning sessions in the late 40s, however I recognise some of the students. Photo 3. 2nd row, 2nd in from the left, Ray Bedford. 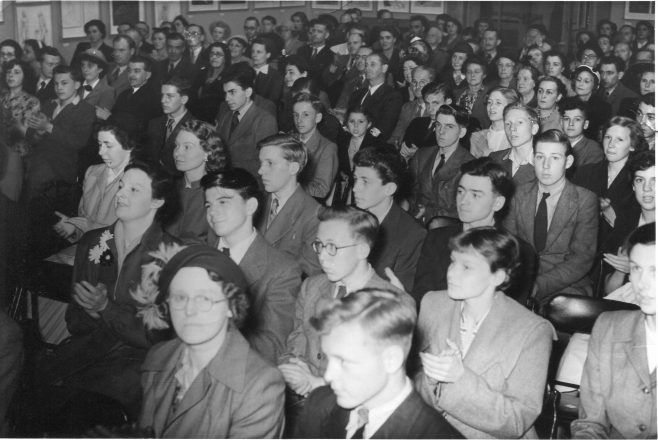 3rd row, 2nd in from aisle next to girl with feathers in her hair is Brian Metheringham. Photo 4. 3rd row, Colin Walton sat next to empty chair, RH side of photo. 5th row, Malc Dolman partly obscured by person in front.